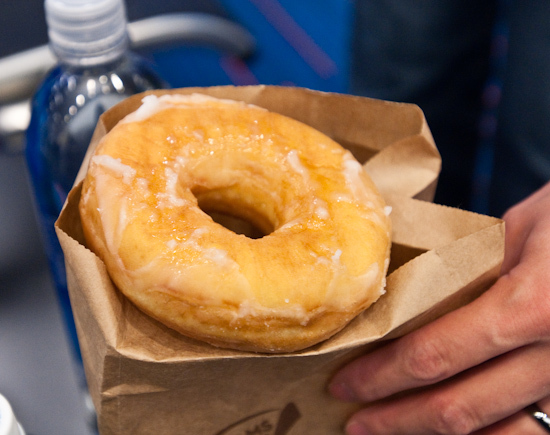 Breakfast: We each grabbed a doughnut from Dunkin' Donuts at JFK Airport before our flight back to Austin. 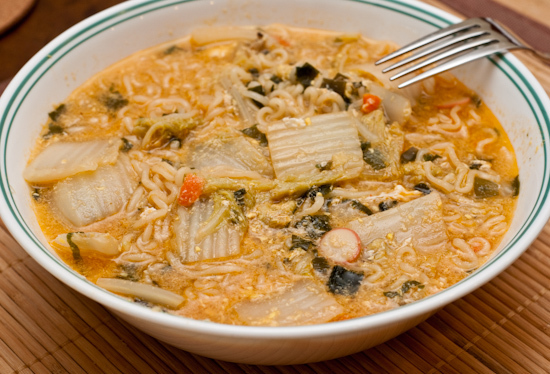 Lunch: We had Nong Shim Seafood Ramyun with Napa cabbage and egg. 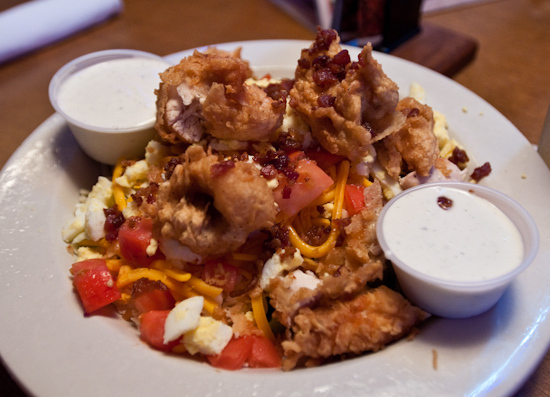 Dinner: I had the Chicken Critter Salad from Texas Roadhouse. Under all that chicken and cheese was a decent amount of lettuce. I couldn't finish it (I never can).